Our signature cocktail, the Western Sunset, is featured in Bartender magazine. Click the link below for the full recipe to enjoy. Shanken's Impact Newsletter identifies Western Son Vodka as one of the fastest growing vodka brands in the U.S. Chilled Magazine recognizes as one of the top 'Eight Great Vodkas That Cost Less Than $20'. Cigar & Spirits magazine highlights our award-winning Western Son Original Vodka in its ‘Featured Spirits’ article. Western Son is proud to earn the Silver Award for its Prickly Pear Vodka in the 2018 Cigar & Spirits Magazine's World Spirits Competition. Shanken News Daily acknowledges Western Son as one of the stand out brands contributing to the continuing growth of vodka. Cigar & Spirits Magazine recognizes Western Son Vodka for being awarded 95 points in its World Spirits Competition. Western Son Vodka was recognized for its back-to-back Hot Prospect Award and overall growth in this month's edition of Market Watch magazine. As the Western Son Vodka brand continues to grow, so does its distillery. Click on the link below to learn more about Western Son's $3 million expansion. Western Son Vodka continues it's torrid growth with back-to-back Hot Prospects Awards. We are pleased to announce that Western Son Vodka has earned back-to-back Hot Prospect Awards. 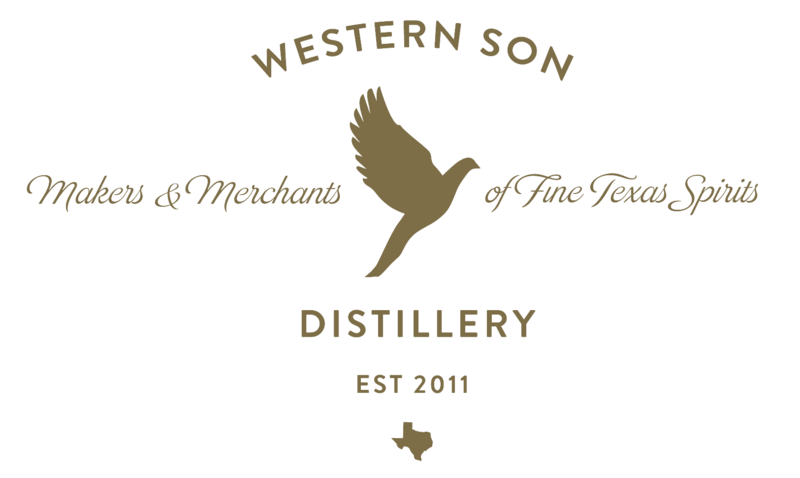 Western Son Distillery has been recognized as one of the best distilleries in Texas to visit. Check out Culture Trip's article to find out more. American craft distilleries continue to prosper and are succeeding at an excellent rate. Chilled Magazine recently recognized Western Son Vodka as one of those success stories in its 'American Way' article. Western Son Vodka is becoming more and more of a stand out organization in the Dallas-Ft. Worth Metroplex. Check out the Ft. Worth Business Press' article on the company. Vodka continues to have a growing fanbase around the world. Check out this article in the Beverage Journal and see how Western Son is mentioned in the growing trend. Click to read the full article on our distillery in the Denton Record-Chronicle. Fast Track winner, Western Son Vodka, nearly doubled its sales to 101,000 cases in 2017 and is taking advantage of consumer interest in American vodka. Our premium Texas vodka has experienced exceptional growth as consumers look for quality and crafted products that aren’t mass-produced. Crafted from 100% American yellow corn, Western Son Vodka is column distilled 10x in small batches. Western Son Vodka's distillation process results in one extremely well-balanced and smooth, gluten-free vodka. We are proud to announce our awards from the World Spirits Competition. Welcoming two new members to the Western Son Distillery family sales team. Consumption rates within the Wines & Spirits industries are on the rise due to the hard work of many individuals and firms striving for the very best results. Western Son Distillery is honored to have won the Best Spirit Distillery Award. Texas-based Western Son Distillery is in expansion mode, with volume of its namesake vodka brand expected to double this year to more than 100,000 cases.With Lone Star State forerunners like Tito’s and Deep Eddy providing a template for national success in the vodka category, the company is moving aggressively to widen its distribution footprint. Western Son Vodka is proud to be chosen for the Impact Hot Prospect award.